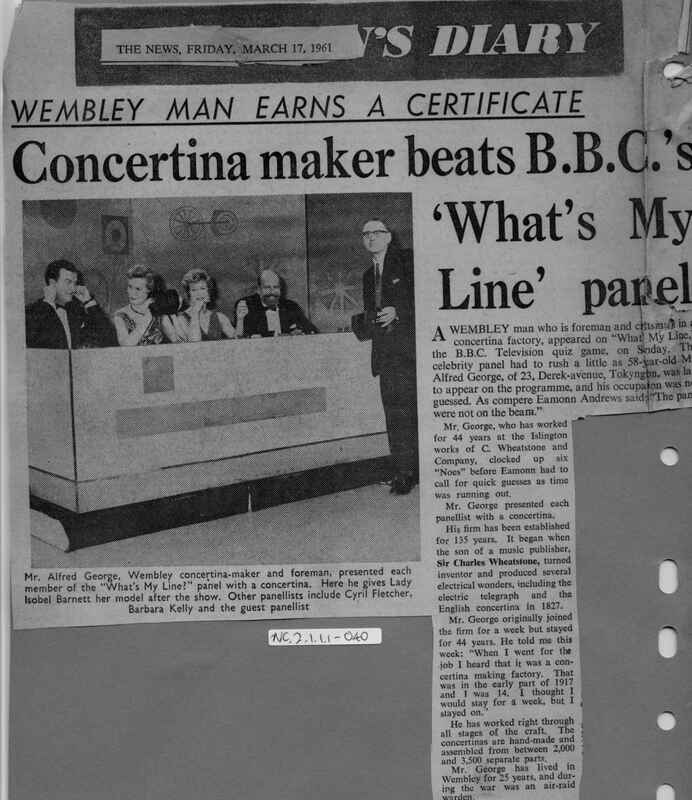 Full Description: An illustrated press cutting of Alf George, the Foreman at Wheatstone's Islington works, appearing on the British TV Show "What's My Line?". The panel failed to guess his occupation - even so, each panellist was presented with a Wheatstone concertina! Dated March 17th, 1961.